There are many reasons people turn to a gluten-free diet to improve their health! I remember a few years ago when the nurse from my doctor’s office called to tell me my mysterious skin rash tested positive for dermatitis herpetiformis, the skin manifestation of celiac disease, the first thing I thought after was now what do I eat for dinner?! Making the commitment to change your diet to improve your health is definitely worth it. After years of health struggles and fertility problems, I know this first hand. The reason I am 33-weeks pregnant and feeling better is because I changed my diet. But I also know that the day-to-day logistics of eating a healthy, gluten-free diet can be overwhelming, especially at first. 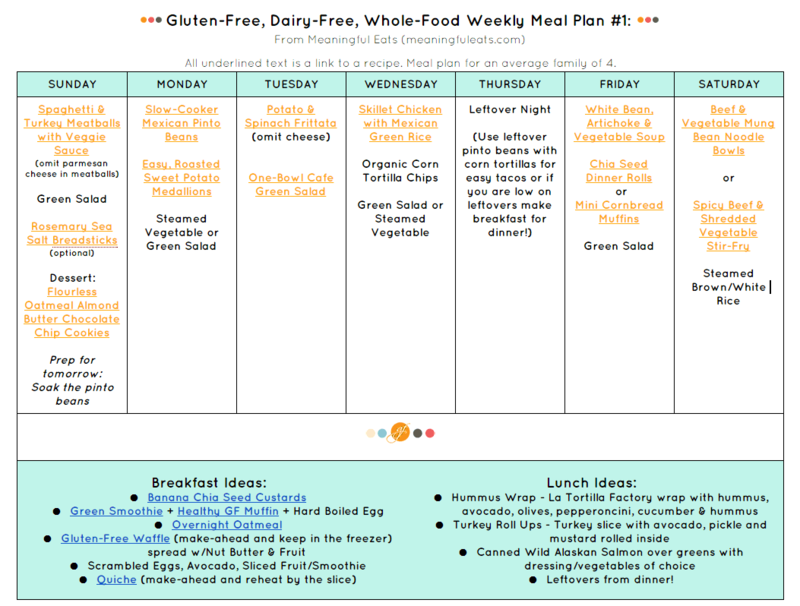 I have been wanting to put together meal plans with recipes from my blog for awhile now. 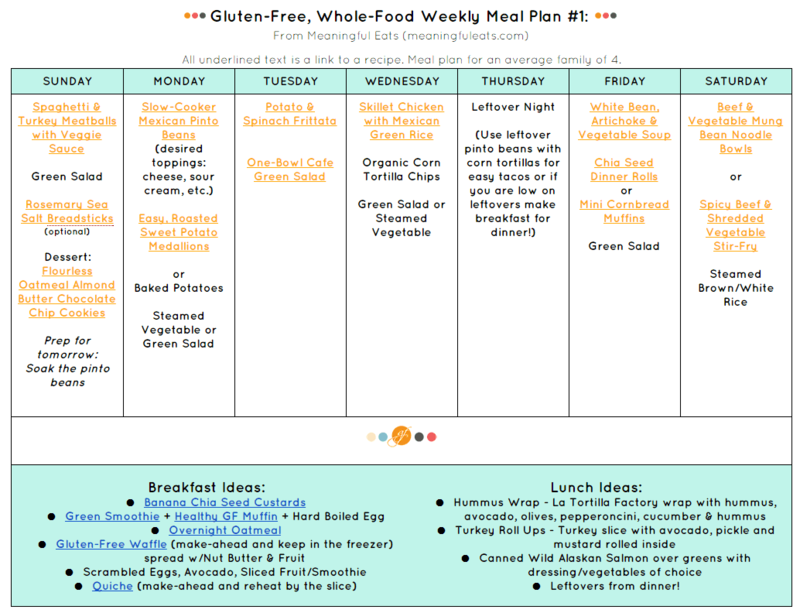 Having a meal plan can be so helpful if you are transitioning to a gluten-free diet. It is also nice if you’re just looking for some new recipe ideas and dinner inspiration. Even though I love to cook, I still have weeks where I sit down to meal plan and feel stumped! 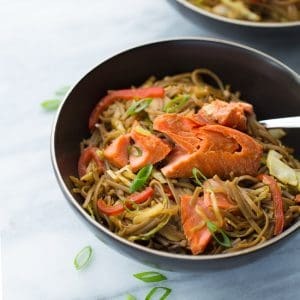 These meal plans all use real, whole-food ingredients in familiar naturally gluten-free dishes. These are dishes I would eat regardless of having to eat gluten-free. Over the years, I’ve talked to a lot of people who are switching their diets to gluten-free. One thing I notice is that when making the transition, it is tempting to go to the store and fill your shelves with gluten-free cereal, bread, muffins, pasta and packaged foods to simply replace what you used to eat. I did the same thing when I started eating gluten-free. I didn’t know what else to do! Not only is this expensive, but eating processed, gluten-free products won’t help you make steps towards better health. Surprisingly gluten-free doesn’t automatically equal healthy. I don’t eat a perfect diet (though I do eat 100% gluten-free), but I try to eat 80% of my meals from fresh, anti-inflammatory ingredients. This is what has been sustainable for me. I tried a grain-free/paleo diet for quiet awhile and it wasn’t sustainable for me. 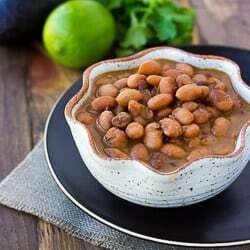 I actually find I feel much better eating legumes and moderate amounts of whole grains. Everyone is different! I also really try to eat enough servings of fruits and vegetables each day. I’ve created 3 Meal Plans based on different allergy needs. One is just gluten-free, the next is gluten-free/dairy-free, and the last is gluten/dairy/nut/egg-free. 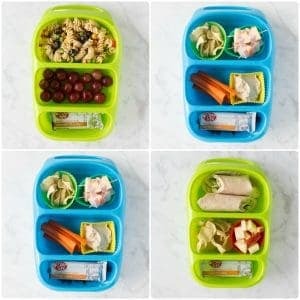 All are family-friendly, whole-food based meal plans. 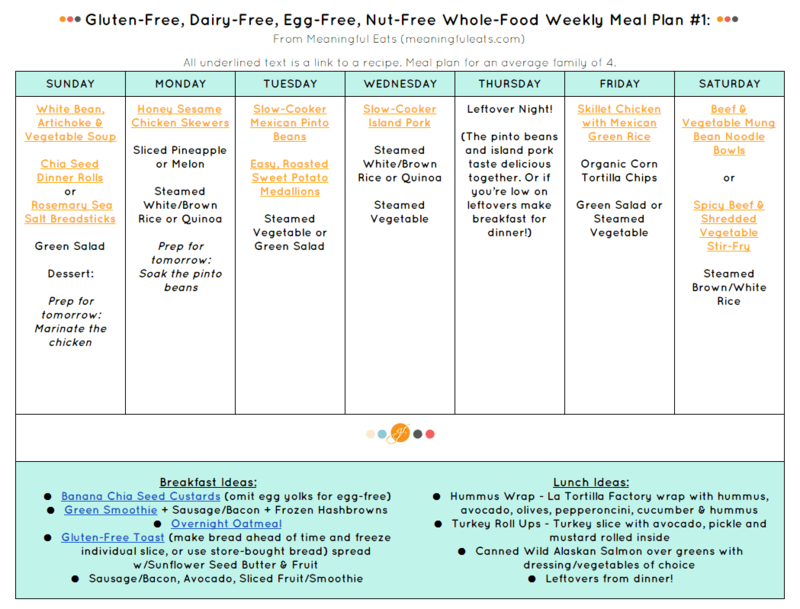 I’ve labeled each one #1 because I plan on making these meal plans a regular thing on my blog. I hope they are helpful! Thanks for the meal plan! All of the recipes sound great! My 10 year old was recently diagnosed with celiac. Although we’ve been mostly GF for the last 18 months, it’s become a necessity instead of a nice to do. Thanks for your recipes and blog. I’m glad these will be helpful for you! After scouring the internet, these are EXACTLY what I have been looking for!!!! Thank you!!!! I’m happy they are helpful! I am having a hard time downloading the gluten free meal plans. I am getting an error message when I click on it.